How to deal with high prone avalanche terrain – A talk with Coco Torres, former Mountain Manager in Las Leñas and now Operative Consultant for numerous ski resorts. Jorge “Coco” Torres has left Las Leñas in the year 2010, having worked for several years as the Mountain Manager in charge of all the avalanches control operations, amongst all other mountain matters. One of the maps of the off-piste of Las Leñas showcasing its couloirs, which are also coincide avalanche corridors. Las Leñas is a high prone avalanche area. I’ve contacted him as I’ve always found fascinating how Las Leñas took control of their avalanches. Every time there was a storm at Las Leñas, which could last a whole week, we went on hearing bombing all day and all night. I know that Las Leñas is a high prone avalanche terrain. Skiing in Europe, I cannot say I have heard too many bombs at all, so this prompted me to start putting together a couple of stories that will come out on the next months, on how the avalanches are prevented or controlled in different countries of the world. Coco told me that he left Las Leñas (Mendoza, Argentina) in the year 2010, and since then he has been working as a consultant in mountain projects and developments. He is going to tell me the process used in Las Leñas at least until he left the valley. “It is very important in a ski resort that all the personnel, from the owners of the mountain to the lowest paid job are conscientious of the risks that happen in the mountain where the ski resort is located with the lifts and its trails – there has to be a contingency informative plan of the mountain risks depending the snow conditions. This is useful so the information is generalised and people take the climate conditions into account. Las Leñas in particular, has a high prone avalanche terrain. Photo of Neptuno chairlift in Las Leñas on the ground after being affected by an avalanche -Photo credit: Snowbrains. a) First you have to analyse the climate forecast; this will indicate when the precipitations start and how long they will last, as well as the different intensities of the precipitations. b) When the snow starts falling down you need to control the hourly precipitation and, depending of the accumulated quantities, you produce detonations that with their expansive waves destabilise the snow blanket and the snow slides down the slope. This action is repeated as many times as it is necessary; at each hour of measuring of the precipitations, you make decisions, this labour continues until the end of the storm uninterruptedly. c) The job in point (b) is simultaneous in each avalanche corridor that composes the mountain. d) The different systems used to obtain the wished objectives are: – plastic explosives (thrown by hand), Catex (cable transporter of explosives), Gaz ex (explosive gas), Avalancheurs (pneumatic cannon) as well as other very effective systems for this job. e) The service patrol personnel operate these different systems. The head of the mountain chooses who will do what before each snowstorm. f) The team of ski patrols that will participate in the storm are located in each place corresponding to the chosen system and receiving the necessary information to provoke the needed detonations at that site. g) The principal objective of this job is to produce many small avalanches while the storm is going on, to avoid a big avalanche later, which could be very destructive. h) It is for this reason that you hear various detonations during the snow falls. As per my personal experience in Europe, working and learning the unclenching of avalanches in the 80’s I’ve noticed the different ways of making the same jobs. I will try to explain it: In Europe normally during the snowstorms with avalanche risks, the sectors affected are closed to the public. Here in Argentina is the same, the sector is closed, the difference is that here, in Las Leñas the mountain is too big and there is avalanche danger in all the possible corridors, so there are ski patrol on top of the mountain that go up with the info of any forecast before the storm starts, or just when it starts. They go to the refuge where there are sufficient installations and the material necessary to being able to start the avalanches activation systems. The difference in Europe is that they have installations that allow them to get to the top of the ski resort early in the morning and start their avalanche activation systems in a speedy way without having to stay up in the mountain. They’ve started by the end of the 80’s like Las Leñas to install the first Gaz-ez and they can detonate them at any time from the bottom of the mountain with no risks. h) All mountains with any incline, even those that their incline of their slopes is not pronounced have snow displacement, and you have to be careful. The most dangerous mountains are those where the management says there are no avalanches. In some occasions in this kind of places, there have been deaths and machinery and installations destroyed. i) On top of the Marte chairlift there is the ski patrol refuge that is called Bora Bora. Inside the building there are installed the two motor installations of the Catex and with the use of a lap counters in each Catex the explosives are moved until the lap counter indicate the end and there the explosive comes down (3 kg of plastic explosive), up to five meters of the snow blanket. This then detonates and the expansive wave destabilises the snow and this falls. In the case of the Gaz-ex the mouth of the blast (where in the interior of the pipe there is oxygen and gas) is at 5-10 or 15 meters from the snow blanket and when it detonates thanks to a remote control it makes an effect of spark and the expansive wave hits the snow blanket and pushes the snow down the avalanche corridor. A drawing on how the Catex works. The explosives thrown by hand by the ski patrol are transported by the ski patrol in a rucksack and when he is ready to throw it, another ski patrol going with him gives him the fulminant and the fuse. Then the plastic load is put together, weighting approximately 3 kilograms and is displaced down the hillside tied to a cord with the fuse already alight (it has a meter of slow fuse), and they wait for the detonation to happen in two minutes. A station from where the Catex is delivered through a line to its target. The Avalancheur is a pneumatic cannon that works at distance, not very used nowadays, and its projectile of 1.80 or 2.50 meters is liquid explosive and is put together in the place by the ski patrol. It is a mixture of two liquids inside an aluminium tube with a percutative cylinder head carrier of a detonating cord that when this projectile is fired can reach up to two thousand meters depending on the winds. When it touches the snow mantle, it detonates and according to the type of snow, there is lots of snow falling or not so much. Avalancheur installation at Cerro Catedral, Bariloche, Argentina. Each ski resort has to have an avalanche atlas indicating all the existing risks in that mountain, and the public must be informed of the state of all and each of the avalanche corridors inside the skiable domain, off piste and the state of the skiable domain of groomed and signalised pistes. A catex in its rail out of the gare. P.I.D.A. (in English would be the plan avalanches “declanching” intervention) this is the manual where all the avalanche corridors are noted and where each sector is acted on, in each shot and which system is used. In this guide, the runner who uses the levelling flow and the place of risk gives the clinical history of each shot. This person should also have written down the conditions of each installation and its contingency plan in case of snow overloads on the slopes (more than expected by the transfer of snow by winds or other situations that may cause more risks). 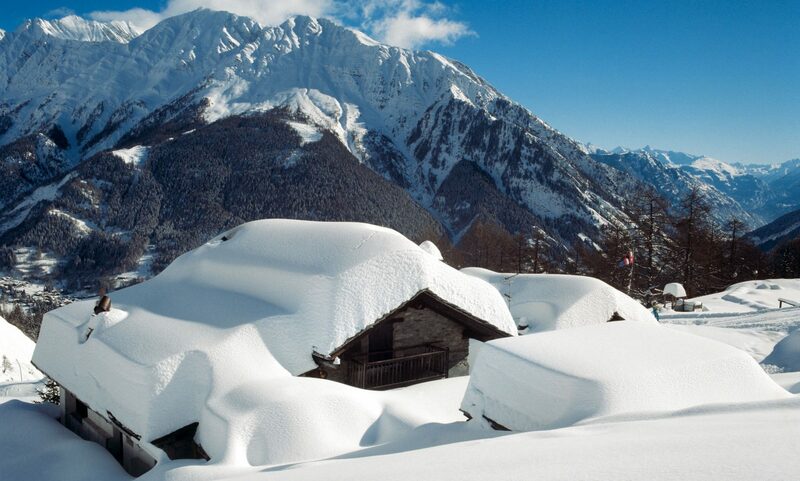 In some cases avalanches could reach infrastructure and there is a need to evacuate hotels, cut routes etc. (example: evacuation from the Snow Club and Villa Capricornio and Bordelongue refuge, in case of the road closure to the Hotel Aries). In this book there is noted the name of the personnel that is acting and is trained to do these jobs. Controlled avalanche in Las Leñas on the Vulcano canyon. Just remember that each mountain has their drawbacks and those responsible for ski resorts usually know them and act accordingly to provide security to their customers. In La Hoya (Esquel) – (ski resort in Argentina), I was in the decade of the 90s and still being a smaller ski resort, we also made a P.I.D.A. indicating the risks and contingencies of the resort. In the same decade I have being working in Caviahue (Province of Neuquén) and we made the P.I.D.A. even this was an intermediate level ski resort but with some risks that were identified. Each storm is different to others, the biggest avalanche has not yet been triggered. In the Southern Hemisphere the low temperatures are marginal and you can measure 30 cm of snowfall at 2,200 meters and the same storm could bring 1,100 meters at 3,500 meters. Explanation of how the Gaz-ex works. In Neptuno (a lift and a piste in Las Leñas), there was an avalanche around 1999. There was also another avalanche from the Collar mountain, that went on top of the passive defences (of detour and braking) and continued to the chairlift tower, pushing it to the floor. While the tower was repaired we used a snowcat (Pistenbully) with two lines of small surface lifts with their cables, and that was the transport for the skiers. After studying this situation we’ve modified the passive defence and until I’ve left, there was no more incident like this one. We have been covering lots of recent accidents in the mountains. The last ones last week in Switzerland plus others also in Switzerland being of three Spaniard skiers in Fiescheralp. Featured Image: A Gaz-ex installation in a mountain – methods of containing high prone avalanche areas.